The Harley-Davidson XR750 is probably the most beautiful bike Harley has ever made. Which is ironic, because it was designed to get dirty, and getting sideways is what it did so well in AMA flat track races –actually it went on to become the most successful model in AMA history. 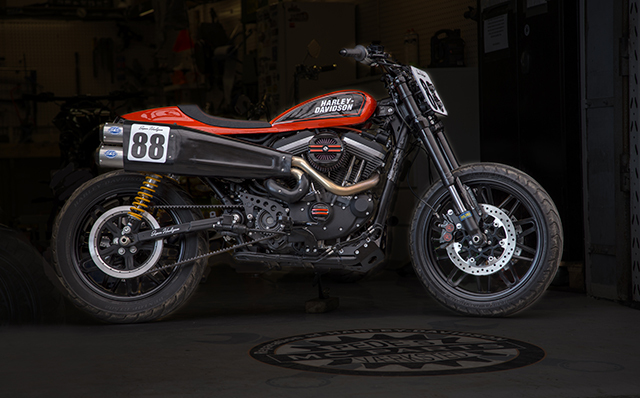 So when a customer came into the H-D specialist shop called MC Parts in Denmark and wanted them to build a modern street-legal Harley-Davidson that pays homage to the XR750, they couldn’t wait to get their hands dirty.